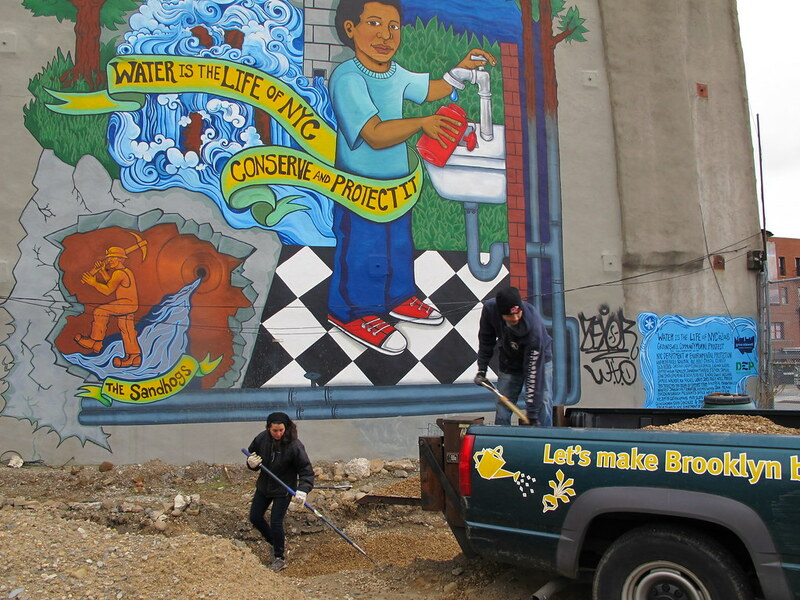 A pioneering community garden is taking root in Gowanus. Twenty years ago, GreenSpace on Fourth was a dream: A group of neighbors wanted to transform a parcel of city-owned land on Fourth Avenue between Sackett and Union into an oasis of urban resiliency. At last—with the support of the DEP, Community Board 6, GreenThumb, Park Slope Civic Council, Citizens Committee for NYC, and the Gowanus Canal Conservancy—they’ve cut through the red tape and broken ground. Last fall, BBG’s Brooklyn Urban Gardener (BUG) program was delighted to join this unprecedented volunteer effort. “There’s so much all of us are learning by helping start a community garden from scratch,” remarked BUG student Fred Feibusch. With BUG’s help, garden organizers began the design and installation of two highly visible rain gardens—one sunny and one shady—featuring plants native to the greater New York City region and watered by runoff from a neighboring rooftop. On the agenda for the near future: raised perennial beds and container plantings, an expanded street tree care plan, community composting, and more extensive rainwater harvesting. But people as well as plants are crucial to the project’s success. 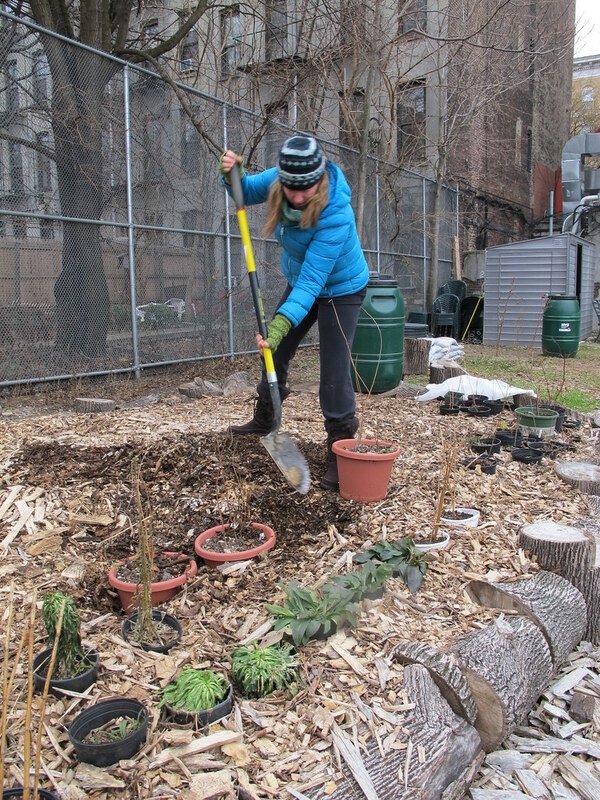 Recently, GreenSpace has expanded its partnerships to include GrowNYC, Greenbelt Native Plant Nursery, local businesses, and a local middle school. Learn more about the Brooklyn Urban Gardner program and about GreenSpace on Fourth. Want to learn more about rain gardens? Take the upcoming Rain Gardens workshop! A collection of appropriate, native plants fresh from the Gowanus Canal Conservancy and GreenBelt Native Plant Nursery await planting in the new garden. The garden is layered with sifted, sandy soil before a layer of topsoil is applied. Volunteers lay the gravel layer. 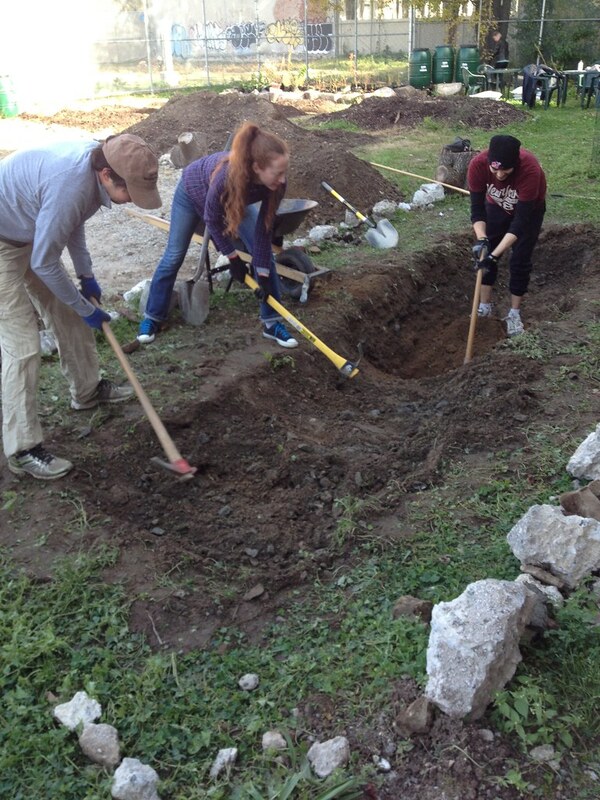 GreenSpace volunteers dig three feet deep to assure adequate drainage. 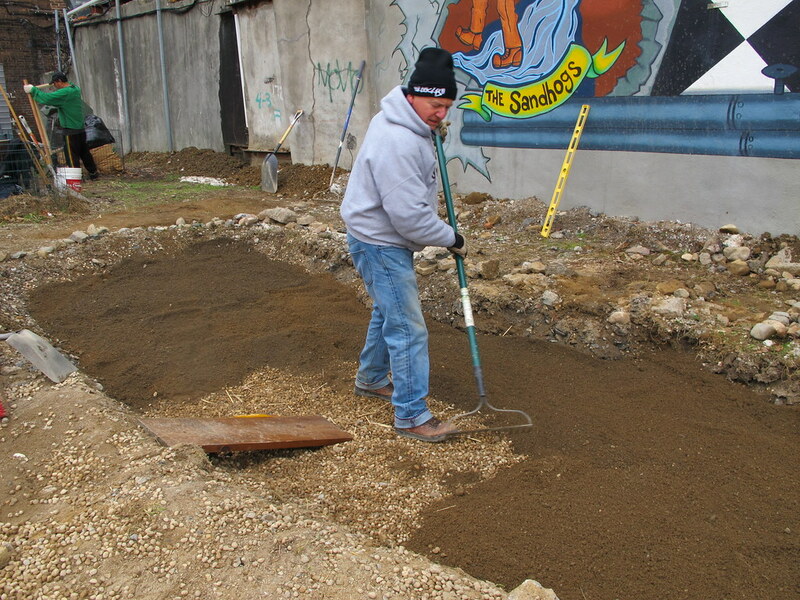 The finished garden will be able to absorb thousands of gallons of rain during storms.